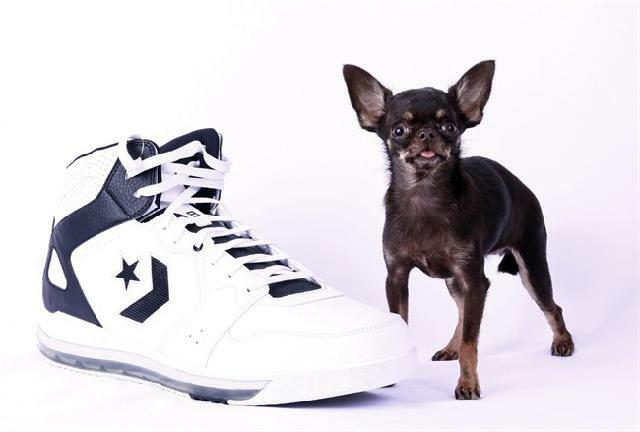 Milly the chihuahua is the new world’s smallest dog living of the Guinness World Records announced yesterday. This brown tiny beauty from Puerto Rico was crowned the world’s smallest dog living thanks to her 3.8 inches (9.65 centimeters) high. Miracle Milly is one year and 9 months old and her weight is only one pound. This cute tiny chihuahua who loves to cuddle with her stuffed animal toys, has two canine sisters of regular size and enjoys being among humans. According to what her mum Vanessa Semler told/revealed/ the media, Milly is a tiny dog with a big personality who knows how to posse for the pictures and she is not aware that she is a dog. Milly is just a little bit shorter than the previous record holder, BooBoo a long hired Chihuahua from Kentucky and 4 inches (10.16 centimeters) tall who held the smallest dog title for several years. 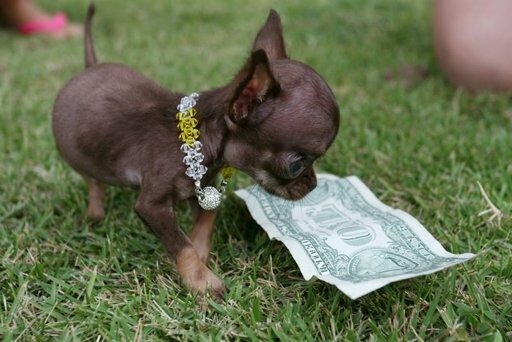 The title of world’s smallest dog measured by length, a second cathegory of Guinness records, went to Heaven Sent Brandy, a Chihuahua of 6 inches (15.24 centimeters) long from Largo, Florida. On the other extreme of the dog size Zeus continue being the world’s tallest dog alive.